Limited to 500 copies on 180g green vinyl. Includes a poster with artwork from New 'n' Tasty on one side and the original Oddworld: Abe's Oddysee on the other. 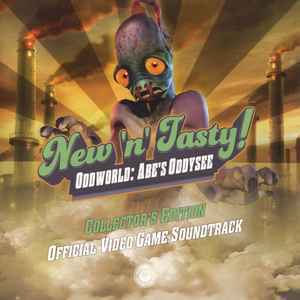 Also includes a Steam code for the game plus the full digital soundtracks for New 'n' Tasty! Oddworld: Abe's Oddysee and the original Oddworld: Abe's Oddysee.